Five priests of the Archdiocese of Du-buque are celebrating the 50th anniversary of their ordinations this year. Below their ministries are highlighted and information on celebratory events is provided. Father Richard G. Gaul was born Sept. 17, 1942, in Dyersville to LaVern and Viola (Wulfekuhle) Gaul. He graduated from Loras College and completed his theological studies at Mount St. Bernard Seminary, both in Dubuque. He was ordained to the priesthood June 1, 1968, by Archbishop James J. Byrne at St. Raphael Cathedral in Dubuque. He served as associate pastor of Holy Ghost Parish, Dubuque, 1968; St. Cecilia Parish, Ames, 1968-72; Sacred Heart Parish, Oelwein, 1972-77; St. Mary Parish, Waterloo, 1977-83; and St. Mary Parish, Waverly, and Holy Name Parish, Shell Rock, 1983-87. He was pastor of St. Patrick Parish, Anamosa, and St. Joseph Oratory, Stone City, 1987-92; and St. Joseph Parish, Garnavillo, and St. Michael Parish, Garber, 1992-2004. He served as sacramental priest for the Trinity Cluster (St. Mary Parish, McGregor; St. Patrick Parish, Monona; and St. Bridget Parish, Postville), 2004-10, and for the Blessed Trinity Cluster (St. Mary Parish, Manchester; Immaculate Conception Parish, Masonville; and St. Patrick Parish, Ryan) from 2010 until his retirement in 2014. 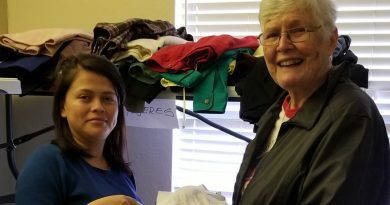 Father Gaul lives in Guttenberg and continues to help in various local parishes. His sister, Sister Kay Gaul, OSF, will celebrate 50 years with the Franciscans in Dubuque. 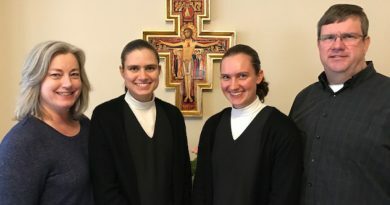 Father Gaul and his sister cele­brated together with a Mass of thanksgiving on Saturday, June 2 at their home parish, Holy Trinity Parish in Luxemburg, with a dinner reception after the Mass in the parish hall. Father Bernard C. Grady retired from active ministry in July 2012 and now resides in Marshalltown. He was born Dec. 21, 1942, to Ed and Margaret (Brady) Grady in Waukon. His home parish is St. Pius, Cherry Mound. He graduated from Loras College and the former Mount St. Bernard Seminary, both in Dubuque. He was ordained June 1, 1968, by Archbishop James J. Byrne at St. Raphael Cathedral, Dubuque. He was associate pastor of St. Joseph Parish in Marion, 1968-72, and a member of the team ministry in Charles City and Roseville, 1972-77. He attended the Maryknoll Language School in Cochabamba, Bolivia, in 1977 and then served at San Rafael Parish in Cochabamba, 1977-86. He served as ­pastor of Blessed Sacrament Parish, Waterloo, 1986-93. He did foreign mission work with the Columban Fathers in Lima, Peru, 1993-98. He served as pastor of St. Mary Parish, Marshalltown, 1999-2005. He was pastor of St. Mary’s in Ackley and St. Patrick’s in Hampton from 2005-12. He has been involved in sacramental and pastoral ministry to area Hispanics since 2005. In addition, he worked with the Retrouvaille Program for hurting marriages for 15 years and served on the Personnel Advisory Board. At one time, he served on the Archdiocesan Stewardship Committee and used to be dean of the Webster City Deanery. To celebrate his golden jubilee, an open house reception was held the afternoon of June 3, in Marshalltown. Father Grady has also been invited to be present at the annual parish Mass and dinner at his home parish, St. Pius, Cherry Mound, in rural Harpers Ferry on Sunday, Sept. 23. Father Harry H. Koelker was born June 26, 1942, to Elmer and Leona (Westhoff) Koelker of Petersburg. He graduated from Loras College and completed his theological studies at Mount St. Bernard Seminary, both in Dubuque. He was ordained June 1, 1968, by Archbishop James J. Byrne at St. Raphael Cathedral, Dubuque. He served as associate pastor of Holy Trinity Parish, Protivin, 1968-70, while also teaching at Notre Dame High School, Cresco. He served as associate pastor of Sacred Heart Parish, Oelwein, 1970-72, while also teaching at Sacred Heart High School, Oelwein. He was associate pastor of St. Joseph Parish and a member of the faculty of Marquette High School, both in Bellevue, 1972-78. He served as associate pastor of St. Mary Parish, Marshalltown, and St. Boniface Parish, Garwin, 1978-81; St. Joseph the Worker Parish, Dubuque, 1981-1984; and St. Pius X Parish, Cedar Rapids, 1984-86. He was part of the Missionaries of Africa Associate Program, 1986-89. He served in Zambia, East Africa, for three years. He was administrator of St. Wences­laus Parish, Spillville, 1990; pastor of St. Wen­ceslaus and St. Ludmila Parishes, Cedar Rapids, 1990-2003; and executive secretary of the West Side Consolidated Elementary/Middle School Program, 1993-2003. He served as pastor of St. Joseph Parish, Mason City, 2003-07. He was pastor of Sacred Heart Parish, Oelwein, and Immaculate Conception Parish, Fairbank, from 2007 until his retirement in 2012. 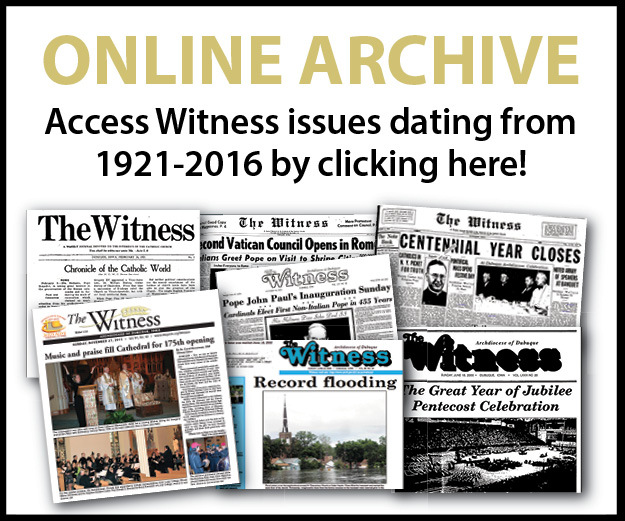 Father Koelker said it has been a very re­warding and interesting 50 years of priesthood. “I have had the opportunity to serve in a wide variety of ministries, from general parish ministry, to leading parishes in worship, teaching high school religion, working in marriage preparation programs and doing foreign missionary work in Zambia Africa,” he reflected. Father Koelker will not have a public celebration of his ordination anniversary due to limitations caused by Parkinson’s disease. Son of Albert and Eileen (Schilling) Schaefer, Father Richard L. Schaefer’s FSPA education was at Bellevue St. Joseph and Marquette Catholic. He majored at Loras College, 1960-64, in English and minored in philosophy, mathematics and speech. At American College Seminary at the Catholic University of Louvain (Leuven), Belgium, 1964-68, he served on its curriculum revision committee. He was the first literary editor of the international theological journal Louvain Studies, for which he did translations and book reviews, besides his translations for the Innsbruck, Austria, seminary annual theology book. He was ordained a priest on July 16, 1968, by Archbishop James J. Byrne at St. Raphael Cathedral, Dubuque. At St. Anthony Parish, Dubuque, 1968-72, he taught junior high religion, as well as sophomore religion at Wahlert Catholic. As president of city parochial school athletic directors, he initiated the expansion of the kinds of girls’ sports offered citywide. At St. Thomas Aquinas Parish and Catholic Student Center in Ames, 1972-75, he was regional coordinator for marriage and family life and a team ministry producer of a nationally sold weekly homily and worship publication. With Msgr. Daniel Tarrant, he offered three different sets of preaching workshops at four archdiocesan locations per set. At Loras College, 1979-2001, he served during a curriculum revision as chair of what became the division of philosophy and religious studies. He was moderator of a Dubuque Catholic women’s book club for many years. He is a longtime member and past officer of Dubuque County Right to Life. 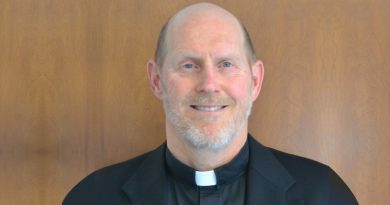 His ministry has included: acting pastor at Dubuque’s St. Patrick Parish, Masses at the University of Dubuque, and chaplain at the BVM Marian Hall and St. Joseph Mercy Medical Center. It now includes Hawkeye Care Center, Bethany Home and three area parishes. His worship community is Sacred Heart Chapel at St. Joseph Mercy Medical Center. He provided editing and doctrinal approval of some thousands of Catholic books for four archbishops. He also served as an editor for books on Belgian Vatican II expert Father Edward Schillebeeckx, OP; on the teaching of Saint John Paul II on women; and the series of books on preaching by Father Ray Atwood. And he joined in writing and editing a new concordance for the New American Bible. Celebrations of Father Schaefer’s anni­versary include the 11 a.m. Mass and a reception at Dubuque’s St. Joseph the Worker Parish on Sunday, June 17. Father Kenneth C. Stecher, pastor of Sacred Heart Parish in Waterloo, began serving in his current role in 2012. He was born in Dubuque on June 4, 1943, to Carl and Grace (Biggin) Stecher of Peosta. He graduated from Loras College and the former Mount St. Bernard Seminary, both in Dubuque. He was ordained June 1, 1968, by Archbishop James J. Byrne at St. Raphael Cathedral. Father Stecher served as associate pastor at the parishes of St. Jude’s, Cedar Rapids, 1968-70; St. Henry’s, Marshalltown, 1970-71; St. Mary’s, Marshalltown and St. Boniface’s, Garwin, 1971-73; and Sacred Heart, Oelwein, 1973-74. He also served as an associate at St. Columbkille’s, Dubuque, 1974-79; Sacred Heart, Dubuque, 1979-82; and St. Joseph’s, Bellevue, 1982-84, where he also served on the faculty of Marquette High School. He was the administrator at St. Patrick Parish, Buffalo Center, and Sacred Heart Parish, Woden, 1984-88. He was named pastor at Immaculate Conception, Sumner, and St. Bridget’s, Pinhook, 1988-91, while serving with Catholic Charities in Waterloo. From 1991-94 he served as part-time associate at St. Patrick’s, Cedar Falls. Father Stecher also served pastorates at St. Patrick’s, Parkersburg, 1994-2000; St. Mary’s, Dike, 1997-99; and Immaculate Conception, Fairbank, 2000-06. From 2006-12, Father Stecher was pastor at St. Athanasius Parish, Jesup, and St. Francis Parish, Barclay. 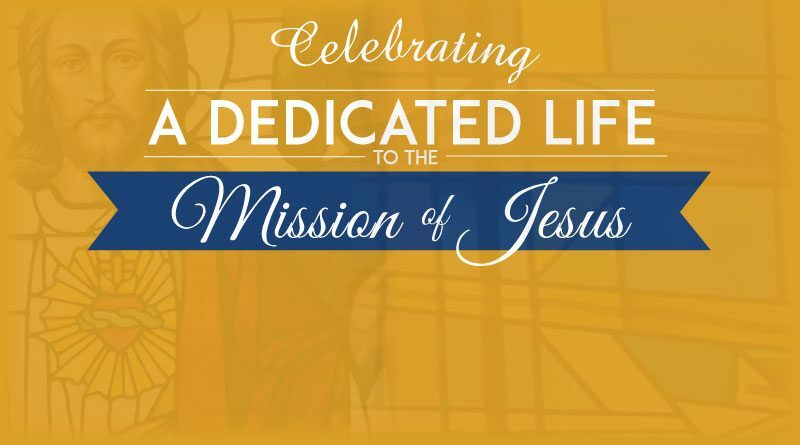 Sacred Heart Parish will be hosting a celebration to mark Father Stecher’s golden jubilee the weekend of June 9-10. A dinner will be held after all Masses that weekend. All are invited to attend.